Ninja Training or Self Defense eBook Now! Shidoshi Jeffrey Miller is an internationally-recognized self-protection expert, author, and corporate trainer who has dedicated the last 35 years of his life to helping tens of thousands to become more safe and secure in today's often dangerous world! Master the sword, staff, etc. Become an Uchi-deshi "Live-in student"
Special trips to Chinatown, Asian arts museums, & even Japan! Special seminars, Ninja Camps, and more! If you're serious about getting this area of your life handled, I invite you to contact me with any questions or feedback - to inquire about my programs or to offer a suggestion for training you'd like to see offered. Or, you can call me directly at my office at (570) 884-1118 to see if you qualify for one of my programs. "Mr. Miller’s approach to self protection and occupational/work-place safety is both thorough and effective. 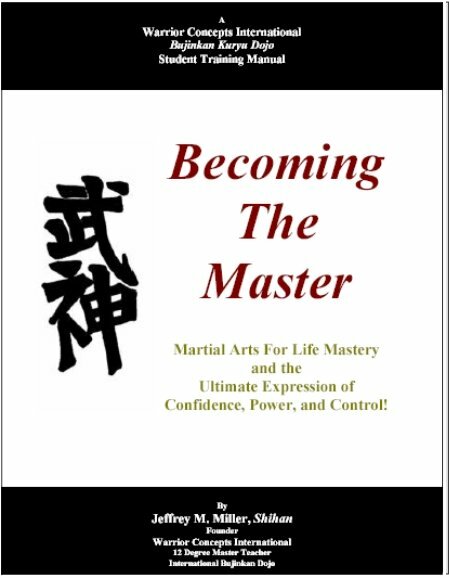 Drawing on over two decades of martial arts, military, police and protection experience, he is able to distill the most useful aspects of self protection from a larger body of knowledge and package and present them in a way that makes them accessible to, and effective for, average people without the need for years of training. Mr. Miller teaches effective tactics for dealing with all stages of a developing situation, but his brains-over-brawn approach emphasizes the use of awareness and strategy to help avoid the need for physical confrontation. His methods are highly effective. Several of my students and I attend his training events at every possible opportunity." "A self protection situation is so much more than actual combat. In fact, Jeff Miller has taught me that self protection does not necessarily even involve a confrontational situation. It is about learning who I am…how I relate to myself, and how I present myself to others. It is about being the best that I can be at any moment in time, in any situation, with anyone or alone, at work or in leisure. It is about recognizing and overcoming my own internal obstacles and external distractions. It’s about knowing my ideals and living up to them in all areas of life to benefit myself, my business, and all others. Through all of this, I may actually avoid conflict. This is where self defense starts, long before the threatening situation occurs. A very important part of my growth process has been knowing that my instructor teaches from more than a book, but from experience. Jeff Miller lives what he teaches. I know it’s real. It works for him, and it works for me. I’ve been training under his supervision since 1991. I am not naturally coordinated or physically strong. I would have been an easy target for an attacker-physically, mentally, or emotionally. Mr. Miller has been one of the few people that could talk to me in very simple terms so that I get the message without feeling belittled. Rather, I feel empowered because I take the steps necessary to become the person I want to be, and I know I have his support-for life. Through Mr. Miller, I have learned to rely on my strengths while improving other areas. I don’t have to be something I’m not in order to be successful. I am confident that I can defend myself appropriately in any given situation. Working in the long term care environment, I deal frequently with confused seniors. Some staff in this setting may feel the need to either take combative behavior or retaliate, hurting the disoriented senior. I have learned ways to prevent that person from hurting anyone, while not causing any harm myself. My training means so much to me that I also became a teacher. Currently I focus on taking this great way of life to senior citizens. If even one person is able to overcome a difficult situation as the result of sharing this wonderful way of life, I know my mission has been accomplished." Kimberly S. Noel President & CEO Spectrum Senior Consultants, Inc.
2346 US Rts 11 & 15, Selinsgrove, Pennsylvania 17870 USA All Rights Reserved. Hiring a Self Defense Consultant Could Be the Best Move Your Company Can Make! Subscribe to the WCI Newsletter and Gain the Upper Hand! The WCI online Newsletter is the perfect resource for serious students ONLY! Every issue contains hard-hitting, honest information about self-defense and the martial art of Bujinkan Ninjutsu. Links to outside sources to help you get the most out of your martial arts and self-defense training. You'll find links to vendors, associations, and more. Would you like more information about the programs at Warrior Concepts? If you live in the Sunbury, Selinsgrove, Lewisburg, Shamokin or surrounding areas of Pennsylvania, use this convenient form. This Kubotan Book will teach you the basics of the Self-Defense Keychain! Self-defense videos from Warrior Concepts founder and Master Instructor Jeffrey M. Miller are the perfect way for you to get the training you need, regardless of where you live. Self-defense videos.. Here's a list of 10 tips for anyone who wants to make themselves more safe and secure, regardless of whether they're traveling or staying at home. Hosting an in-house training event with Shidoshi Jeffrey M. Miller can be the best thing you could ever do. Each event is designed to inform, educate, and empower. What is the role of your emotions in surviving a street self-defense attack? Your best choice for Sunbury martial arts training. Warrior Concepts' Black Belt Mastery Academy is the premier self-defense & personal development school in the central susquehanna valley! Use this online form to register now for this year's Daikomyo-sai Ninja training seminar! This is the login page for Warrior Concepts students. Get additional information to make your training the best that it can be! NINJA MIND: Living & Thinking Like a True Ninja Warrior! Enroll now! This ninja mind course is part of a series of special online ninja training programs designed and taught by Bujinkan master-teacher, Shidoshi Jeffrey M. Miller! Online Ninja Training | Learn Ninjutsu from home or anywhere in the World! Learn ninjutsu in this online ninja training program with a true master of the art -- anywhere in the world! Are you looking for ninja training online? WCI's Virtual Dojo could be what you've been looking for to learn ninjutsu. Join Shidoshi Miller and others on our yearly training trip to Japan - the homeland of the ancient Ninja families of Iga and Koga! Register to receive information and details about this year's trip! Register now and Master the Weapons of the Ninja and Samurai in this online weapons training program from WCI and Shidoshi Jeffrey M. Miller!! 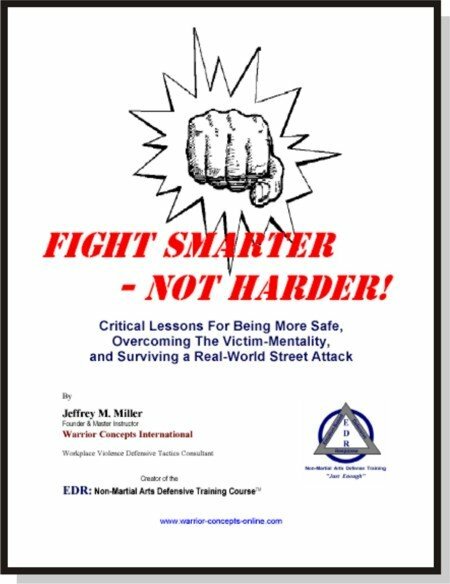 Free ebooks, free videos, and free e-courses from international self defense expert, Jeffrey M. Miller SPS, DTI. Defend yourself and learn ninjutsu from Shidoshi Jeffrey Miller. Learn ninjutsu and the weapons of the Ninja in this powerful 10-week online weapons training course which features the rokushaku-bo (6' long staff weapon)! Parents! Get this new free ebook and really teach your child how to deal with a bully! Be a part of this year's Spring Japan Ninjutsu Training Tour! Register now to be a part of Shidoshi Miller's Spring ninjutsu Training Tour 2011! Train with Bujinkan Dojo Grandmaster, Masaaki Hatsumi IN JAPAN! Get the Best Self-Defense for Surviving the Streets | Download your free self-defense book now! 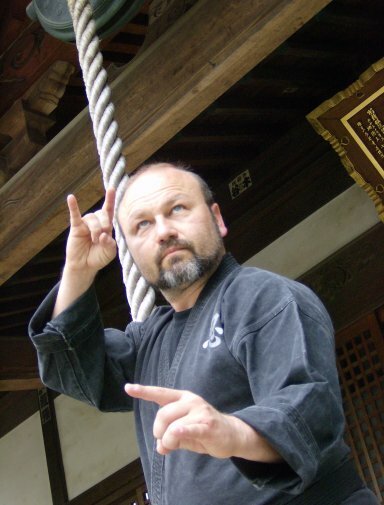 Register now for this ninjutsu training intensive in Shidoshi Miller's Musha Shugyo Intensive! Subscribe to Shidoshi Miller's online ninjutsu training newsletter and learn ninjutsu the way it was originally taught when it was brought to the Western-world! Martial Arts Instructor Training | Free Teleseminar! What does it take to master ninpo taijutsu, the self-defense combat system of the Ninja. Order your WCI Training T-shirt Now! Order your limited-edition WCI traning T-shirt now! Learn how to host a successful martial arts or sel-defense seminar. Earn credibility, make extra money... become the expert in your area!